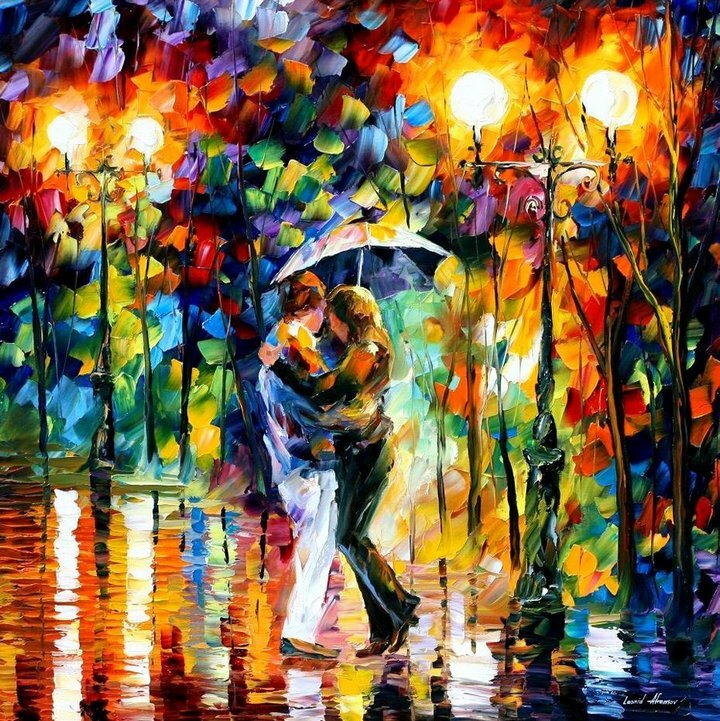 Finding more than few written lines about Leonid Afremov is almost impossible. Maybe it’s because he is relatively new on the scene, but also maybe it’s because there is no need for much talking, there is no need for words, because sometimes, like Tarkovsky used to say it, they are flaccid. 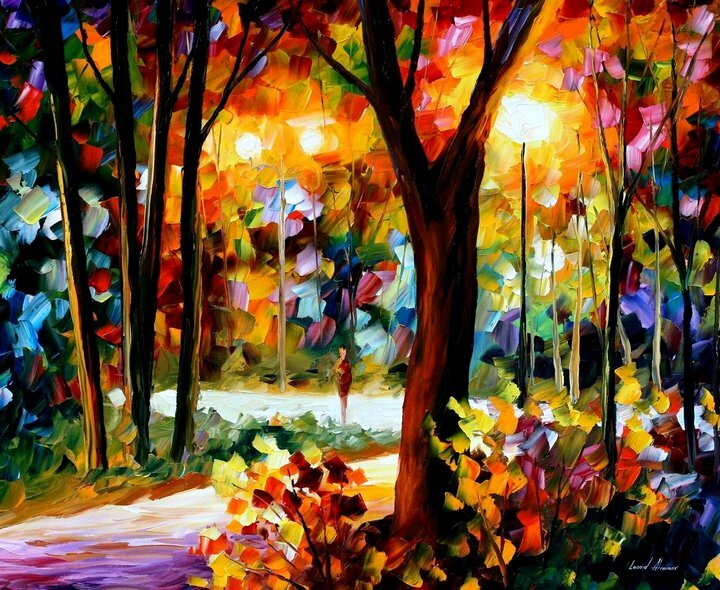 Belarusian painter Leonid Afremov is one of the most colorful painters you’ve never heard of. 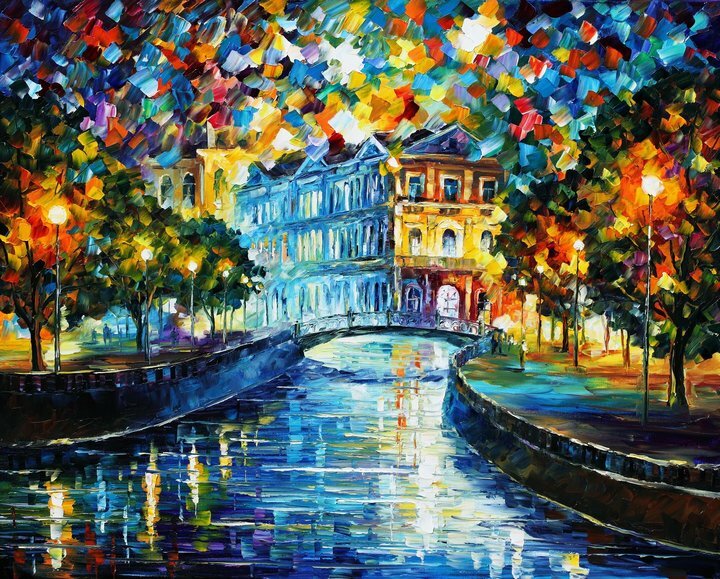 His skill with a palette knife and oil paint creates vivid scenes and cityscapes full of bright colors and watery reflections. 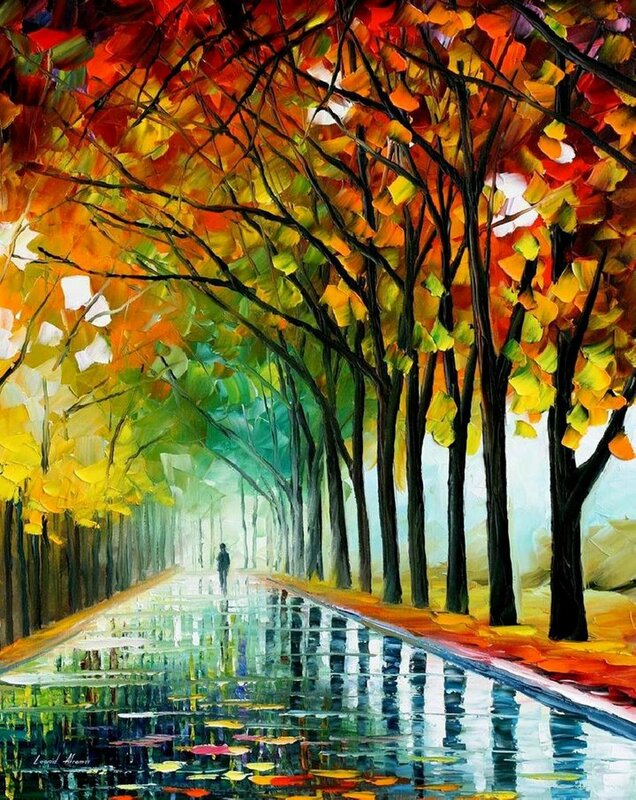 His thick strokes are almost mosaic in nature, but the result is not without detail where the colors merge. 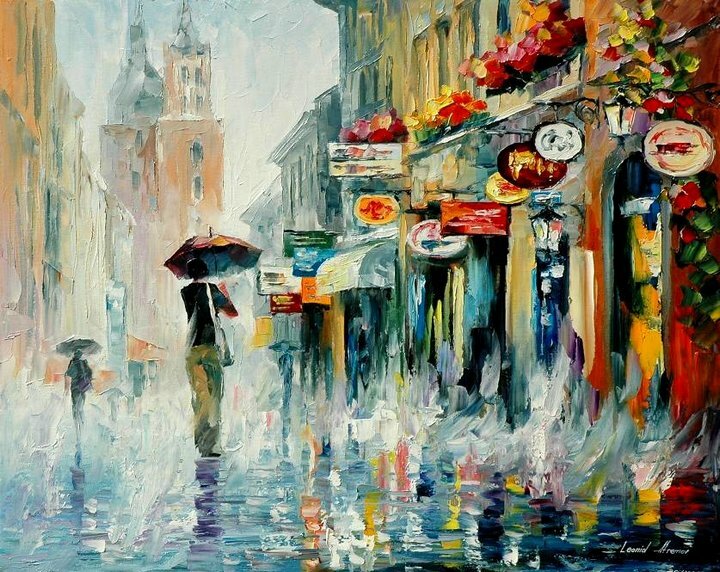 Afremov’s landscapes capture the emotion of a casual stroll through an old Belarusian city, with all the vibrant color and culture alive in this artist’s perspective. 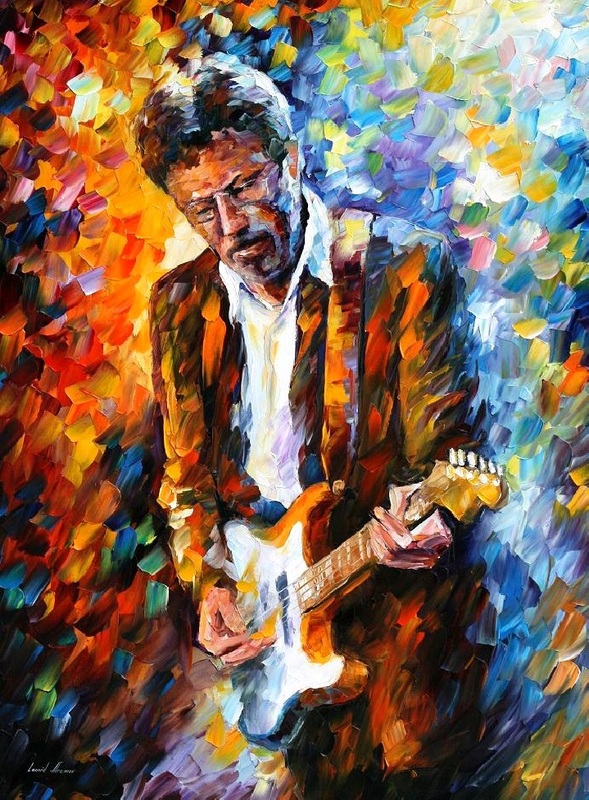 The artist Leonid Afremov was born in Vitebsk, Belarus in 1955– the same town where Mark Chagall was born. 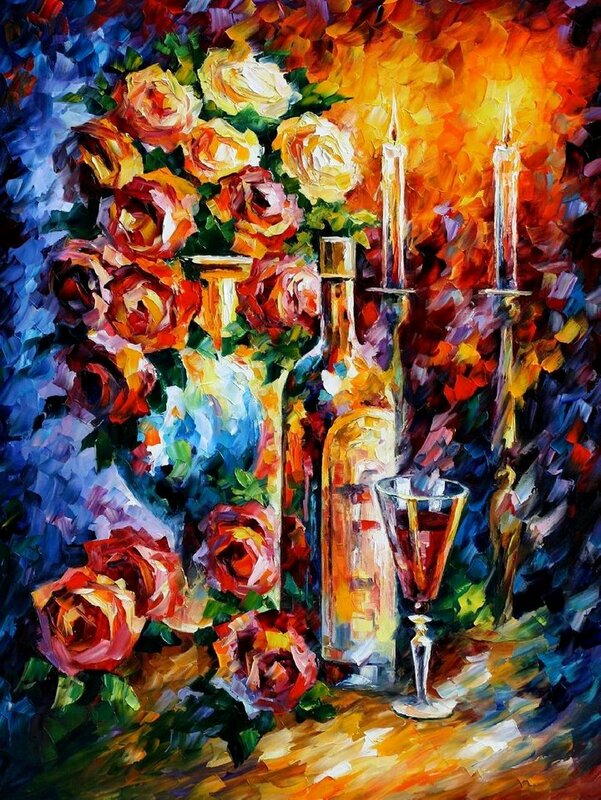 Leonid Afremov graduated from Vitebsk Art School The school was founded by Mark Chagall in 1921 . 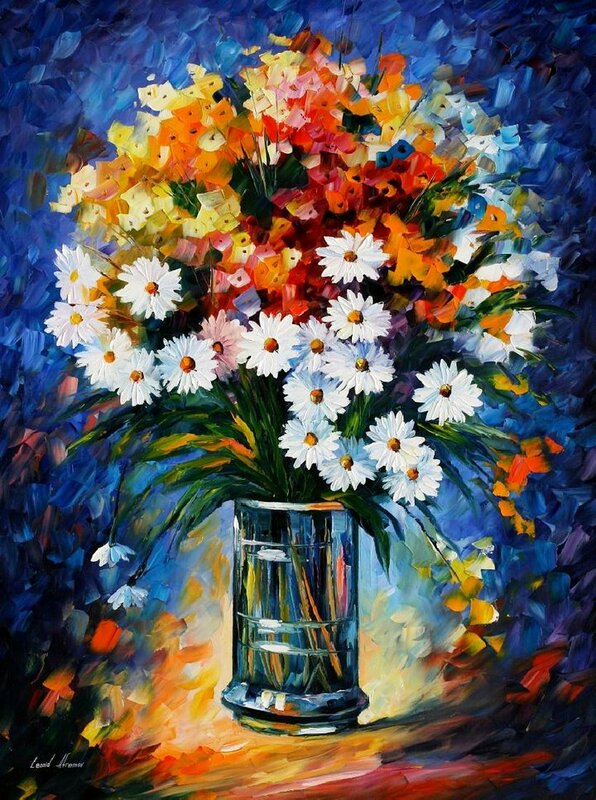 Along with Chagall, Malevich and Kandinsky, Leonid Afremov is a member of the famous Vitebsk painting school. Leonid worked a lot and participated in different exhibitions in Vitebsk. The artist has his own unique style. 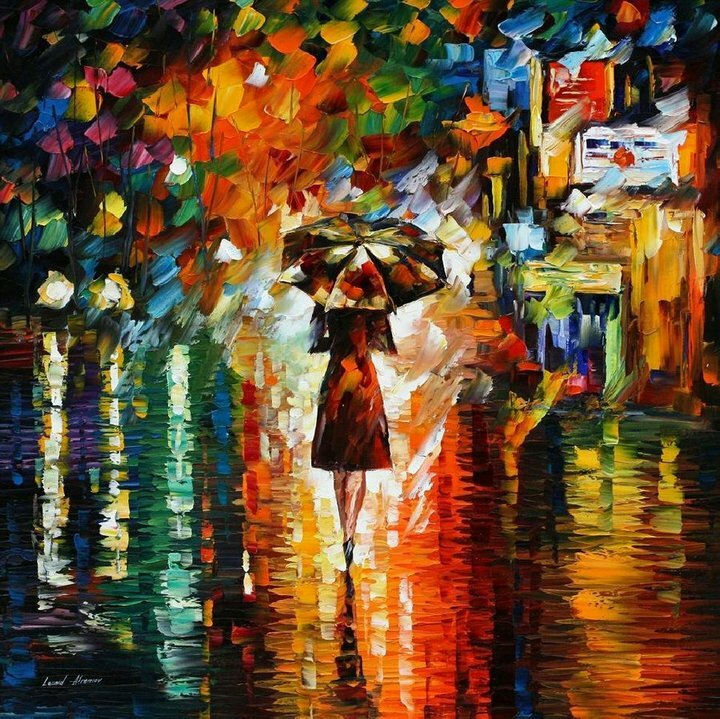 He doesn’t use brushes to paint – he uses a palette-knife. Original, light-colored, and gentle style that had been worked out for years is the main distinction of the artist. 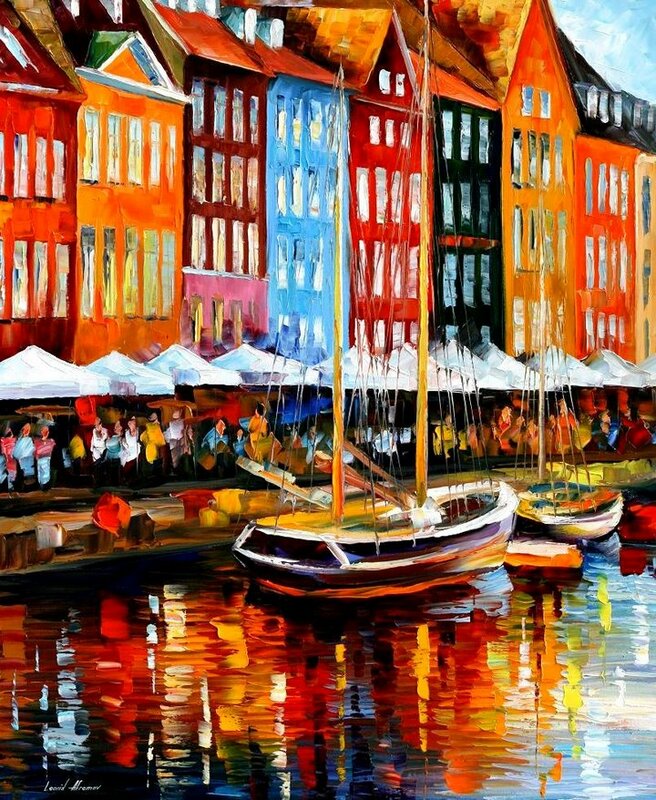 Leonid was building up his experience by painting a lot with oil and participating in various exhibitions.After discovering that only communist propaganda posters would sell in the Soviet Union, Afremov moved to Israel in 1990.Nevertheless, his talent achieved its real heights after he went there. 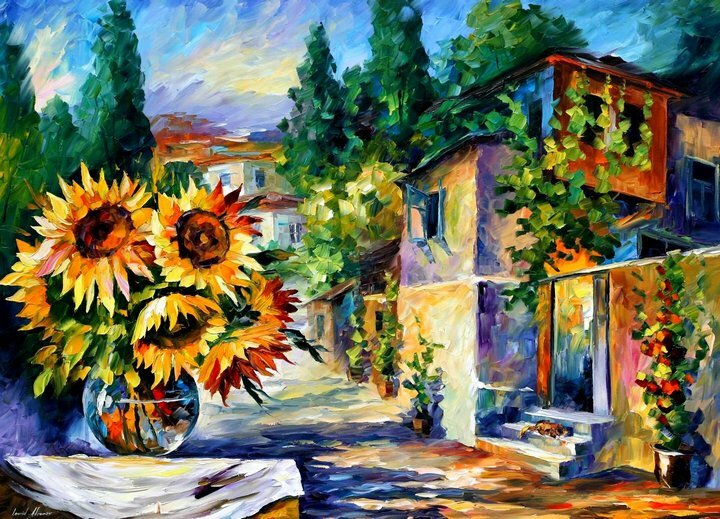 The scorching southern sun filled with colors and brightness made Leonid’s paintings positive and joyous. 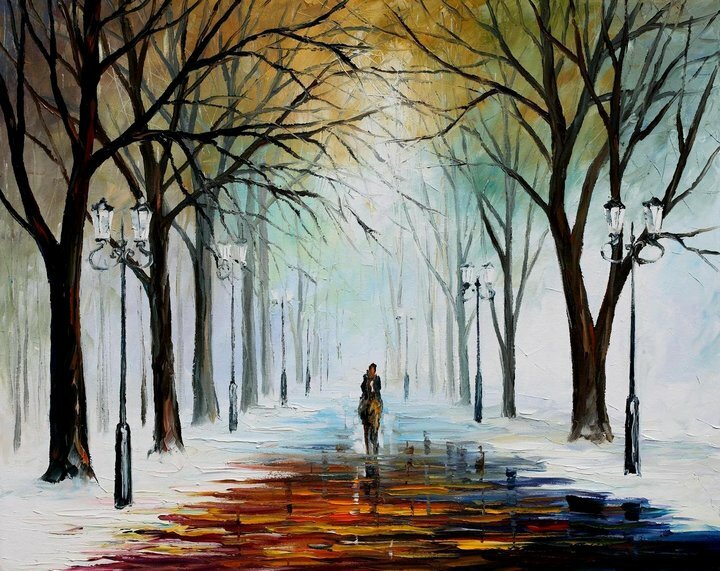 The artist himself is a convinced optimist and this can be easily seen in his creative artworks. 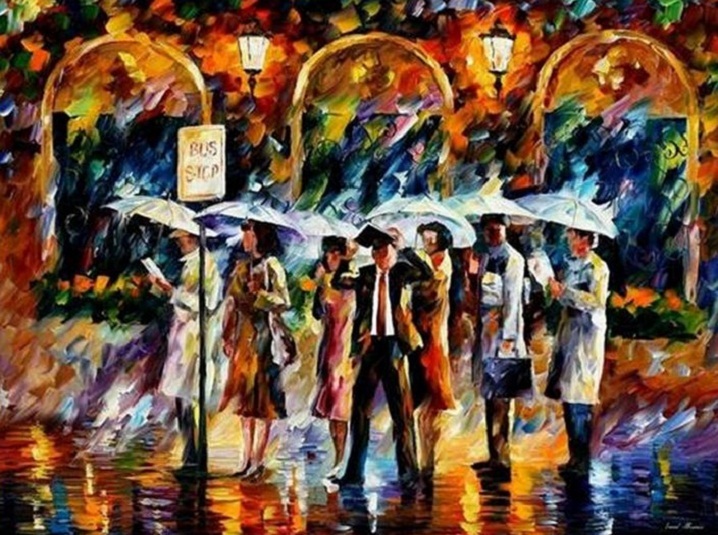 His paintings make viewers feel lighter and more positive. 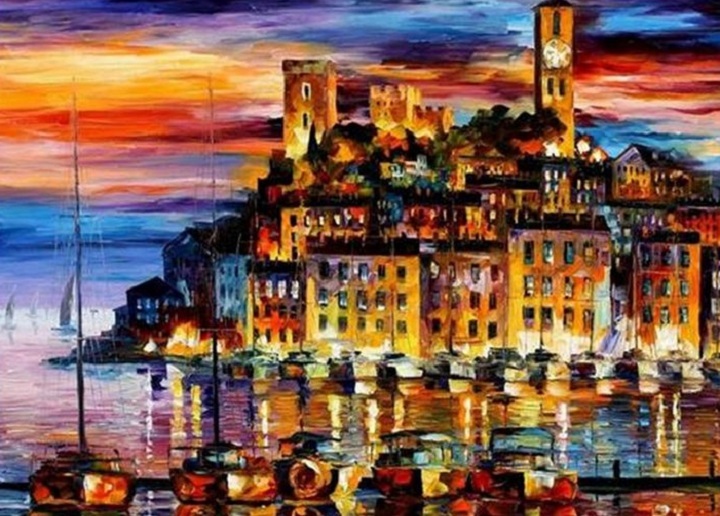 Within two weeks, he had found a job in an advertising agency painting billboards, but on the eve of an exhibition, his studio was broken into and vandalised.Afremov then moved to the United States and currently resides in Boca Raton, Florida. 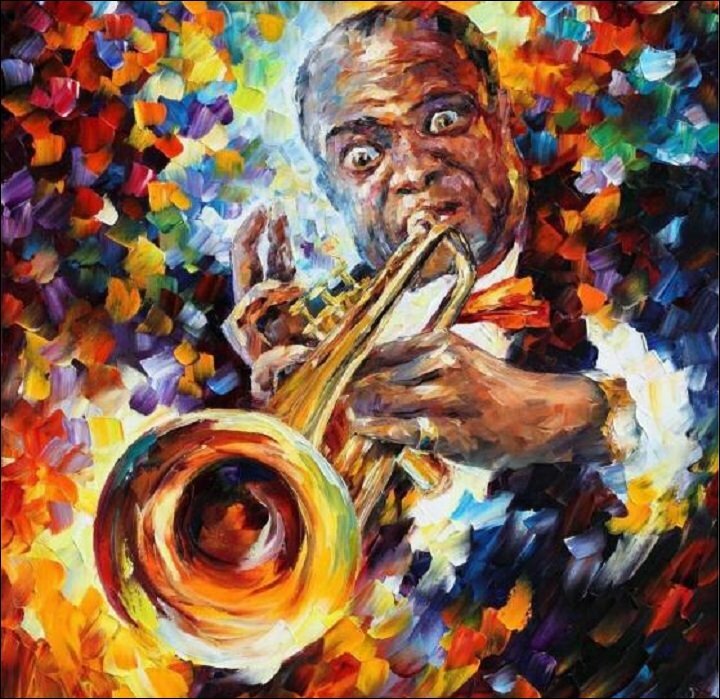 Artist’s personality reflects his unusual technique which was developed and perfected many over years of hard work. 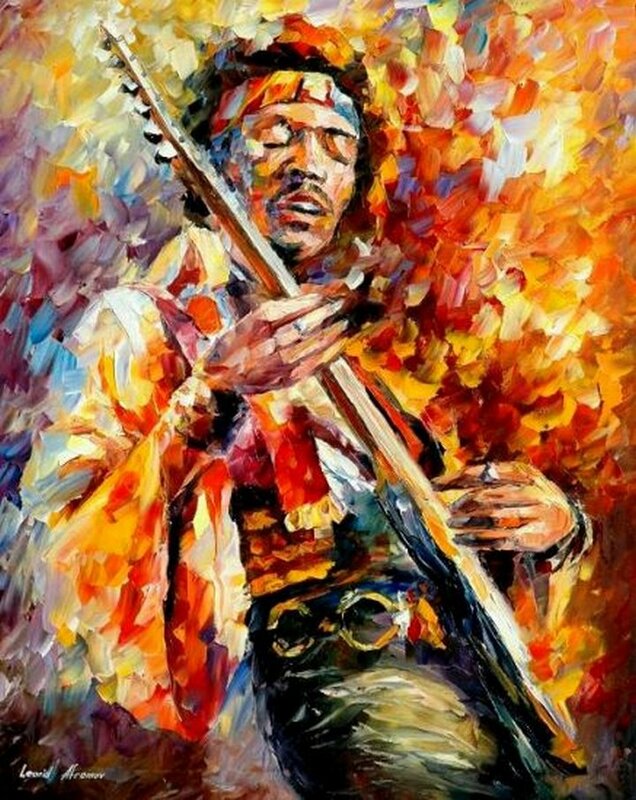 His artistic style is unique and easily recognized. 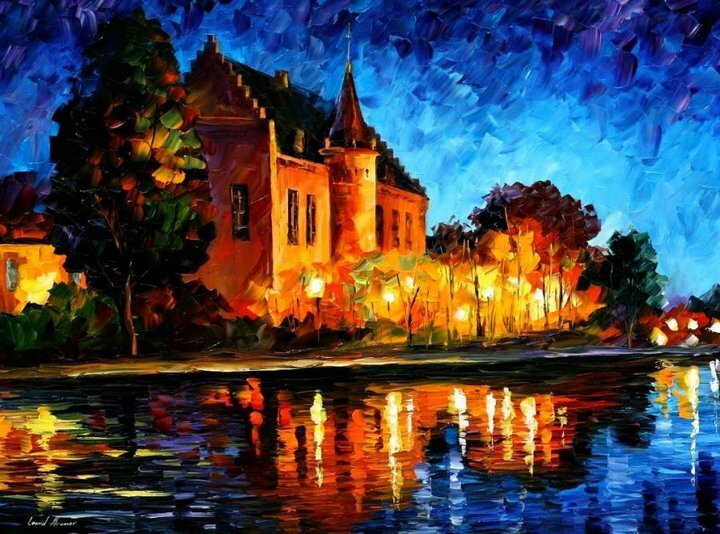 Leonid uses palette-knife instead of regular brushes to put paint on canvas. Palette-knife itself is intended to be used for cleaning old paint from canvas. 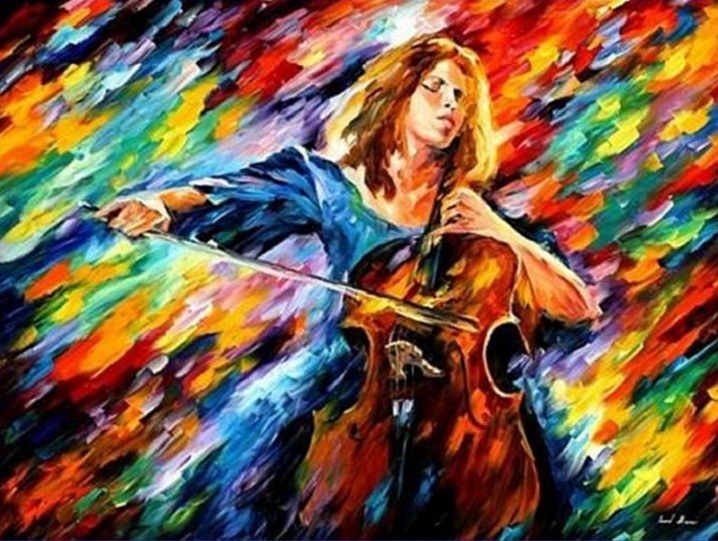 It is very rare that any artist ventures to use it as an instrument in painting together with a brush, and it is even more rare that any artist uses it as his or her only instrument. 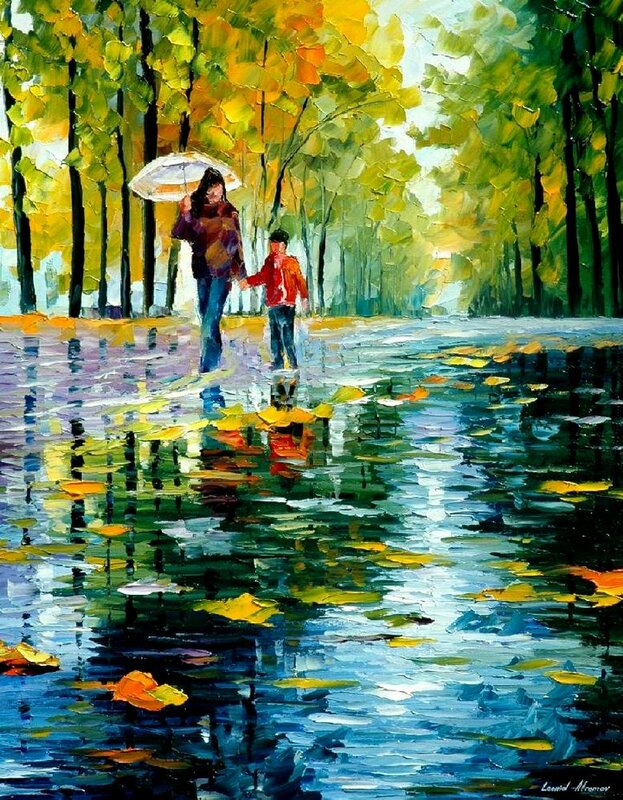 Working with palette-knife gives fantastic possibilities, but it is also fantastically difficult to master. 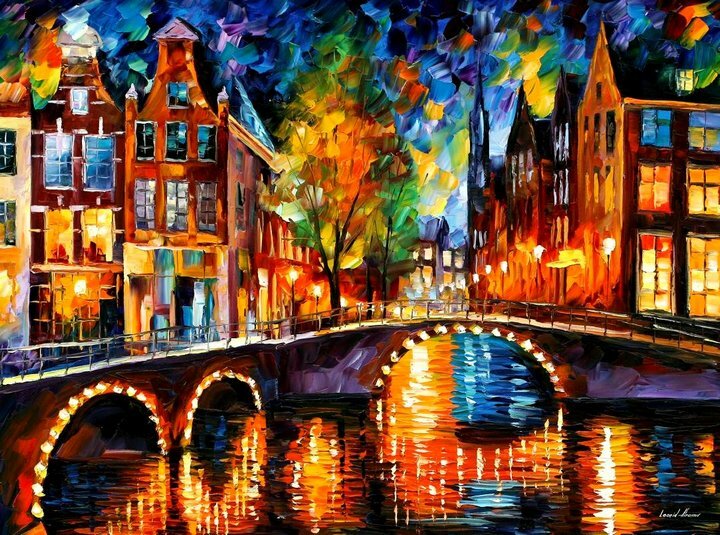 It took 10 years for Leonid Afremov to build up his palette-knife handling skill up to the level that it is now, and the work is far from being completed. 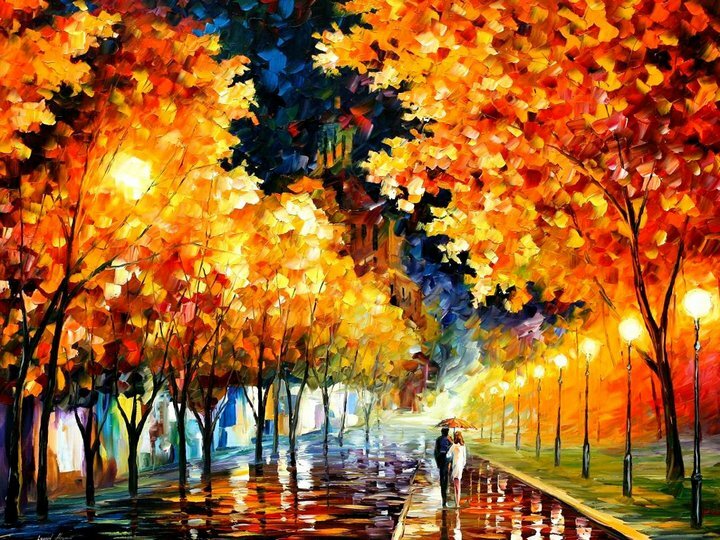 Look at the paintings of Leonid Afremov. Can you believe that all small details on them were literally carved out from paint with little steel blades, smallest of which is only one and a half of an inch long? 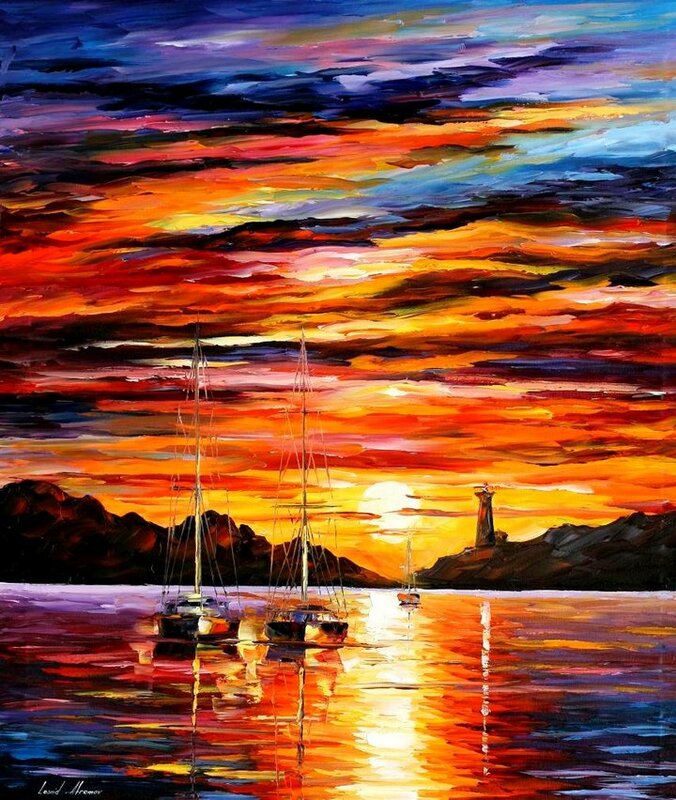 His painting technique is accepted by specialists to be completely unique and not capable of being copied. He even does not really need to sign his artwork, it impossible to confuse it with other painters work or to forge. By the words of the Artist, he very enjoys traveling. 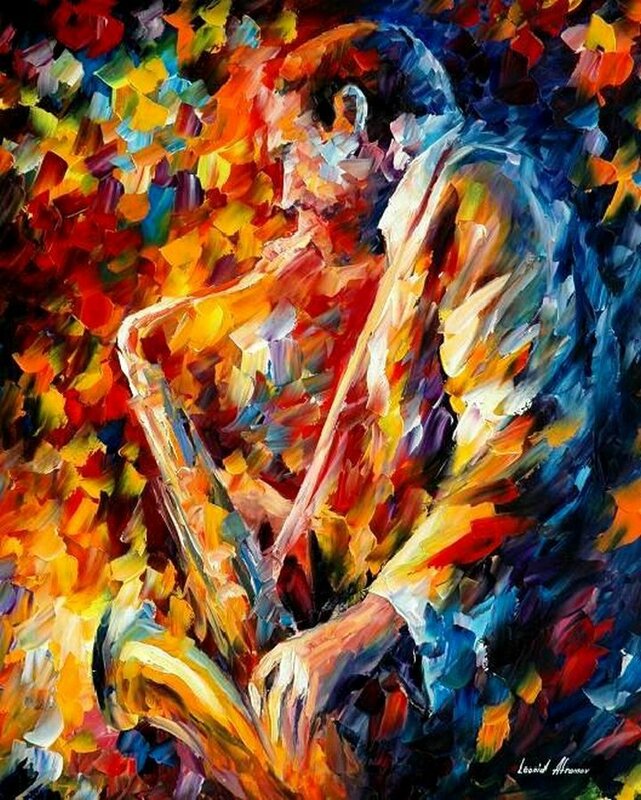 Traveling fills out his soul with all the energy he needs to create fabulous art. 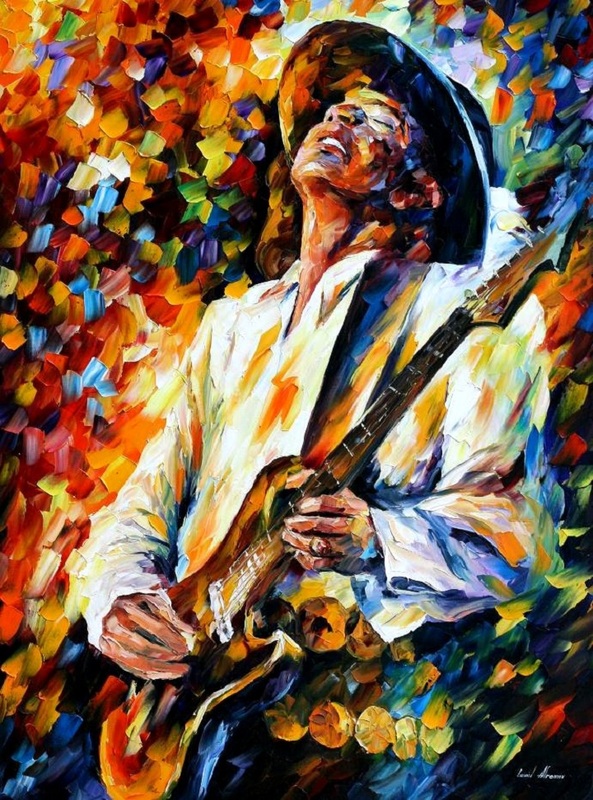 Beautiful artwork. 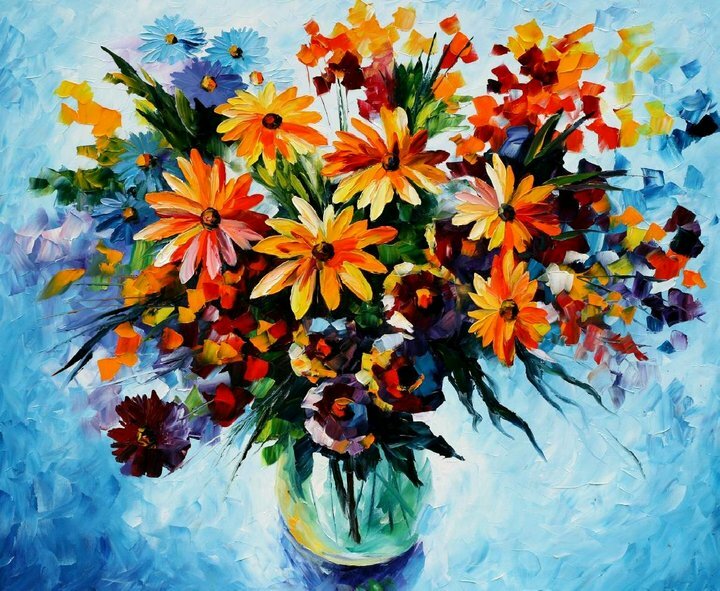 I love that even his still life paintings are interesting and fun to look at. The colors made me smile.